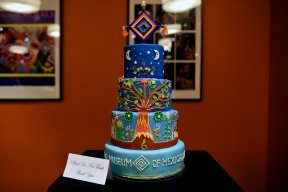 The National Museum of Mexican Art (NMMA) held a celebratory event highlighting the museum’s efforts in promoting cultural identity through prominent exhibitions for the last 30 years. NMMA invited the community to help revel the night away with live music, food, and a museum tour. This week, NMMA President Carlos Tortolero spoke with Lawndale Bilingual Newspaper about the museum’s importance and success. 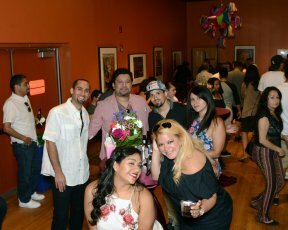 Lawndale Bilingual Newspaper: Recently, National Museum of Mexican Art celebrated its 30th anniversary. How does it feel to be part of an institution that continues to impact the lives of many across the city? Carlos Tortolero: Now more than ever institutions like National Museum of Mexican Art are crucial. When our country has government officials supporting Anti-Mexican politics, it is important that the Mexican community has a place like the Museum in which the richness and beauty of Mexican culture is celebrated and presented so that all can appreciate it. From a personal standpoint, in what ways has NMMA inspired you? What have been the exhibits or program that has resonated with you most? I think what resonates the most is the reaction of people when they learn something new from our exhibitions and programs. I love to see families come in and see what we are doing and enjoy it the way they do. One of my favorite things is when a teenage Mexican couple are on a date and come to the Museum to see our exhibitions. I think it is great that we can connect to so many different people through our programming. How do you hope to propel NMMA into the next 30 years? Culturally, there’re enough ideas to create programs and exhibitions for the next billion years! The challenge for many organizations is to continue fundraising in order to support our ideas and activities at the Museum. 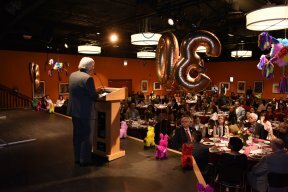 Carlos Tortolero shares remarks about the Museum’s 30th Anniversary at a luncheon that included Board of Trustee members, stakeholders, community partners and elected officials. Photo by Magali Rangel. The Anniversary festivities also included a birthday pachanga (party) with the community. Birthday cake with a Huichol Art theme was served to celebrate the occasion. Photo by Magali Rangel.